"What I love about your shirts aside from them being beautiful is being able to help someone connect to this fabulous support network." "The best place to get addison's support is from this original resource source... I will stay with my addison's friends here forever." "Your addison's disease awareness shirts are gorgeous"
"Not only am I spreading addison's awareness I'm able to connect people to AddisonsDisease.Net!" Hanes Beefy T Shirt With Our Logo Pictured Above! Size: S (34-36) Item: ADS1 Price $25.99 With Free Shipping! Size: M (38-40) Item: ADS2 Price $25.99 With Free Shipping! 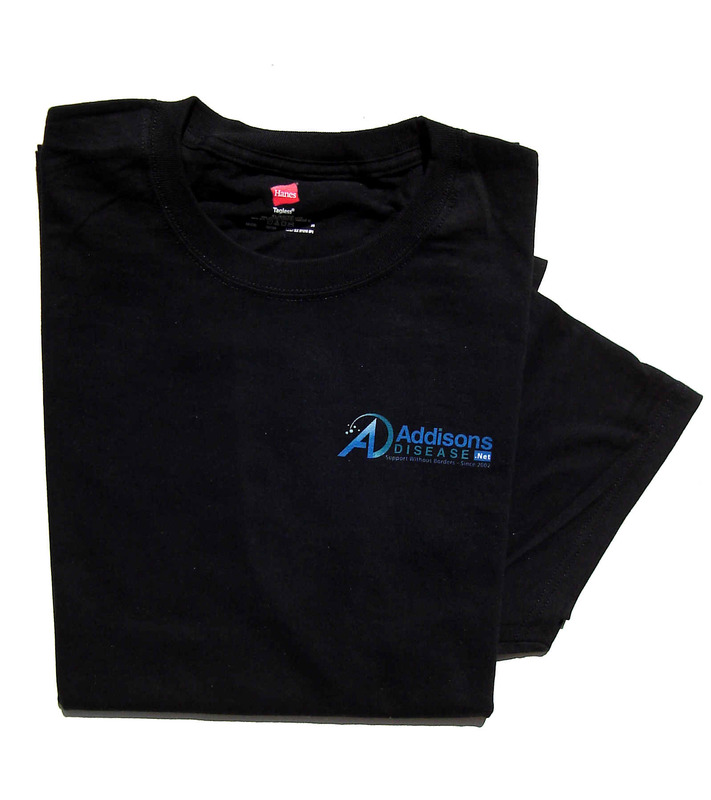 Our Original addisonsdisease.net T-Shirts are back! - $12.99 With Free Shipping! Price $12.99 With Free Shipping! Attention shoppers - We are only offering pay by check at this time so please contact us at info@teleplexus.com to purchase a shirt.